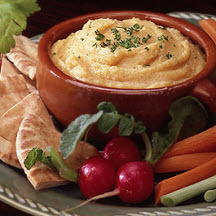 CooksRecipes has quality, kitchen-tested recipes for a variety of wholesome hummus dips that are perfect for snacking, parties and entertaining. 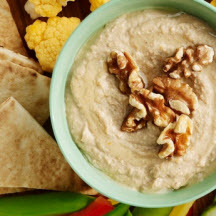 Try this unique and zesty vegetarian garbanzo bean dip seasoned with toasted walnuts and a kiss of orange. Serve this delicious Moroccan-spiced hummus with crisp, oven-toasted pita triangles or your favorite crackers. 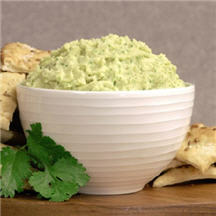 This Southwestern-flavored hummus make a delicious healthy snack as well as a party dip.